We maintain a large fleet of surface rental equipment specifically tailored for Completions, Drilling and Facility Construction. Our highly trained field technicians and skilled laborers provide delivery, rig up, and a variety of oilfield services. We have shop and yard facilities in Fox Creek & Grande Prairie, AB and Dawson Creek, BC. From light plants, holding tanks and office trailers to fuel skids, washroom trailers and 50-50 well site trailers, we are ready and able to safely and efficiently fulfill all of your oilfield rental needs. The Calgary Stampede Showriders were established in 1985. Today, they perform across Southern Alberta and travel to destinations in the United States and Europe. The Showriders perform musical rides several times a day and serve as a colour guard during the Calgary Stampede. Longhorn Oilfield Services is an oilfield rental company that rents, delivers, and installs oilfield equipment tailored for completions, drilling, and facility construction. We service the Montney and Duvernay fields from our bases in Fox Creek & Grande Prairie, AB and Dawson Creek, BC. 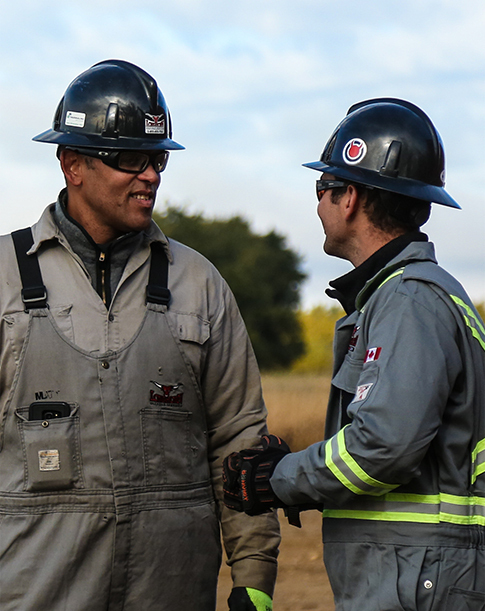 With shop and yard services in the heart of the busiest oil fields in Western Canada, we can efficiently serve our oilfield clients across Northern BC and Alberta.